One thing that often gets overlooked when people revise their estate plan is the need to update the beneficiary designations on life insurance policy, retirement accounts and other accounts and annuities. This is an especially important step when people are going through a divorce, and one that is frequently forgotten. In Illinois, a divorce decree does not automatically terminate a former spouse’s beneficiary interests as it does in some other states. 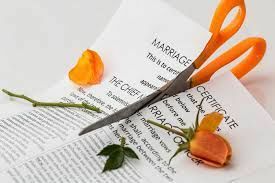 Although a divorce automatically revokes a provision contained in a wills, revocable trust and power of attorney pertaining to a former spouse, beneficiary designations are contract rights created independently of marriage and survive divorce. What if I Forget to Change my Beneficiary Designations? 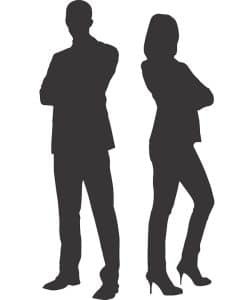 If you fail to remove your ex-spouse as the designated beneficiary on your life insurance policy, retirement plan or other accounts, he or she will likely enjoy the fruits of your mistake. For instance, in Estate of Albrecht v. Winter, the Third District made clear that “[a] spouse named as a beneficiary in an insurance policy has an expectancy interest that must be expressly waived for there to be a surrender of the interest under a judgment of dissolution.” 2015 IL App. (3d) 130651 ¶ 11. There, a Cheryl Winter and Douglas Albrecht were married for almost 29 years divorced in 2004. The property settlement agreement incorporated into the judgment of dissolution contained a waiver of Cheryl’s interest in her Douglas’ pension, and that Douglas shall have “free and clear of any claims of the [Cheryl], his own insurance policies.” Id. at ¶ 4. Douglas re-married in 2006 and died in 2011, having never updated his estate plan to change the beneficiary designation on his life insurance policy. His new wife, Wendy, submitted a claim on behalf of Douglas’ estate for life insurance proceeds which was denied. Cheryl, being the named beneficiary, submitted a claim and received a check in the amount of $44,415. Id. at ¶ 5. Although the lower court initially ruled that Cheryl should return that money, the appellate court found in favor of Cheryl. In doing so, it noted that general waiver language is insufficient to waive an expectancy interest, which is what Cheryl had at the time that the property settlement agreement was executed. A waiver needs to be specific, and courts look at the following two factors to determine a waiver’s effect: (1) whether the disputed asset was specifically listed as a marital asset and awarded to one spouse; and (2) whether the waiver provision specifically states that the parties are waiving any expectancy or beneficial interest.” Id. at ¶ 11 (citing In re Marriage of Velasquez, 295 Ill. App. 3d 350, 353 (3rd Dist. 1998.)) Although “life insurance policies” was listed as an asset in the property settlement agreement, satisfying the first element of the Velasquez test, the agreement contained no specific waiver of Cheryl’s expectancy interest. Therefore, Cheryl – not Wendy – was entitled to the life insurance proceeds upon her Douglas’ death. Don’t be like Douglas. Be mindful of your beneficiary designations whenever you revisit your estate plan – especially if you are in the midst of a divorce. If you have a life insurance policy governed by ERISA, be sure to advise your employer that you are changing your beneficiary designation and make sure that the change is recorded. Also be mindful of the Velasquez test before entering into any property settlement agreement by specifically listing all of your assets and including a waiver of your soon-to-be ex’s expectancy interests therein. There are instances where a court may look to a person’s intent to change a beneficiary designation where such a change could not be effected prior to death. The threshold decision in such cases is whether the decedent firmly intended to make the change, and a court will apply a “substantial compliance” test to make such a determination. Velasquez, 295 Ill. App. 3d at 356. But if you don’t want to leave it to chance, make sure your beneficiary designations are up to date whenever you revisit your estate plan, which should be every 3-5 years at least, and certainly upon any major life change. Find more information on estate planning here, or contact me at (847) 696-7705 anytime should you have questions about revising your estate plan.